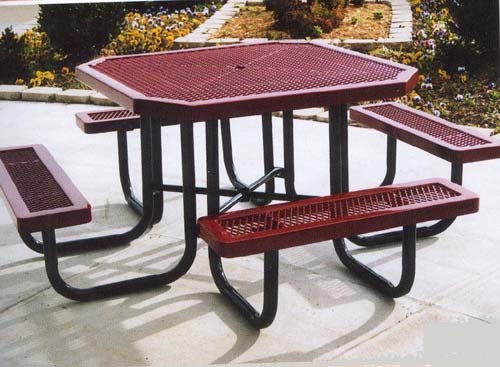 46" Square table, 4 attached seats, rounded corners, 3/4" #9 guage expanded metal, and 2" legs. Portable. Also available in different styles, sizes and colors call for details.